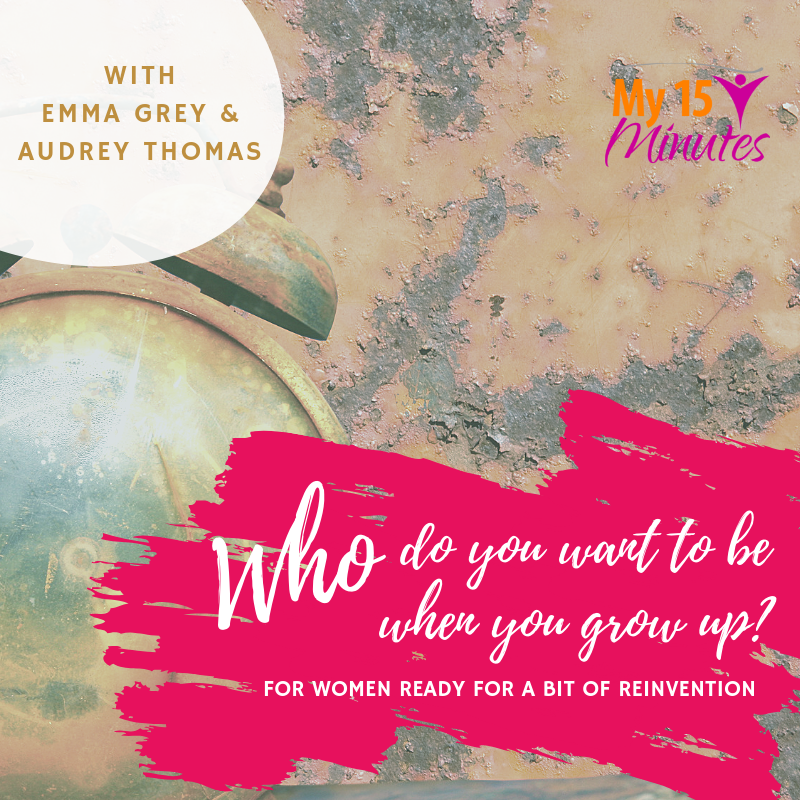 Join Emma Grey and Audrey Thomas of My 15 Minutes for a thought-provoking, uplifting and actionable online experience in the company of like-minded women. Your course investment includes all program materials (including a welcome pack posted to you with goodies to get you started! ), 6 live Q&A calls, access to Emma & Audrey in a private group throughout the program & support from peers. “I’ve found that growing up means being honest. About what I want. ‘Follow your bliss’ videos flit past on social media, and we can’t help thinking it would be a lot easier if we were 23, unencumbered and had the freedom to make radical change without any risk. By midlife, it’s rarely about just us any more. Our decisions aren’t free from ramifications for people we love. None of this is as simple as it sounds. There are endless ways to reinvent ourselves, starting from where we are now, as messy as things may be. It’s not about striving for ‘perfect’ or tipping entire lives upside down. It’s about taking what we have and sculpting something we love – even if the end result isn’t clear yet. It’s about who we want to be. Not ‘what’. It’s about reinventing ourselves, half way through the story. Strengthening. Deepening. Flourishing, where we are. 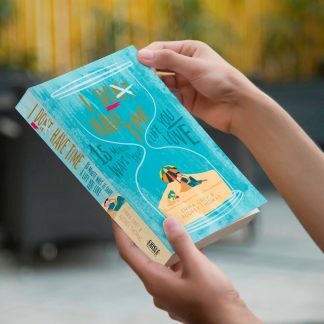 We don’t need to wait until ‘the right time’ to make changes to our lives. Change need not always be startling and sweeping. We’re keen on big goals, of course, but it’s the power of small changes in our daily habits that add up and make something beautiful. Often it takes just one small step today, in a positive direction, to begin to turn this whole thing around. Audrey Thomas and Emma Grey are the authors of the award-winning book, I Don’t Have Time. 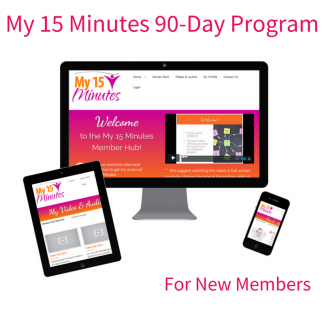 In 2013, they co-founded My 15 Minutes, a 90-day online program designed to transform lives in 1/100th of the day. Along with online programs, they offer a 12-month group coaching program for women called The Reinvention Project, and an accountability program — Fast Forward Coaching. Together, they have presented online training, coaching, workshops, seminars and keynotes to thousands of women, and have been interviewed many times about their unique take on productivity and dream-chasing on TV, national and international radio and in the press. They are currently writing their second co-authored book, I Can’t Be Bothered. When does the program run? Will there be further dates available? The live program runs from May 6 to June 15, 2019, plus you have lifetime access to the program materials in our [brand new] online members’ hub. This means you can purchase the program now and go through it in your own time if you’re unable to attend the live dates. Where is the program available? I’m travelling on some of the dates. You can participate in the program from anywhere in the world with an internet connection. If you’re travelling and need to catch up later, that’s fine. You’ll have lifetime access to all the materials, videos and Facebook Live recordings. How much ‘work’ will I need to do? This is an action-based program, with weekly activities to get you into momentum and thinking deeply and practically about your future. At My 15 Minutes we’re anti-overwhelm, so we’ll give you enough material each week to be comfortably stimulated, without feeling like you’re swamped. Also, even though the course rolls out over a 6-week period, you’ll have lifetime access, so it won’t matter if you fall behind — you can complete it in your own time. You’ll have access to workbooks, videos, checklists and other downloadable resources to help you get the most out of the program. You’re invited to join a private Facebook group with other participants, for mutual discussion and support, and to attend Facebook Lives with us each week for the duration of the course. If you need any extra support at any time, we’re available by email. We’ll also send you some resources in the old-fashioned mail! How much of the program will feel ‘live’? You can join us for LIVE weekly group Q&A calls (via Facebook Live videos). This is an opportunity to ask us any questions or share stories. We’ll be popping into the private Facebook Group during each week as well, and interacting with members there. Throughout the program you’ll receive peer and mentor support in the Facebook group. With all our programs, we find we attract the nicest people online, and we expect lots of friendships will form around this course too. Is the program investment in Australian or US dollars? Your investment in the program is charged in advance in Australian dollars. Programs are non-refundable but they are transferable before the program commences (May 6 2019). Just let us know the details of the person you’ve given your place to and we’ll add them to our member list. How can I contact the program mentors with any questions?